She has sweet and s-u-l-t-r-y voice, and who wouldn’t agree to that? 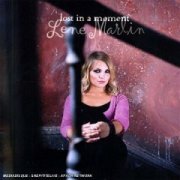 Call me insane but Lene Marlin is not just a bubble gum pop – she has depth. With her stunning vocal work she can be anywhere like Dido. I’m also into Dido – she has a great voice but the fact is we are of same age :) Well why would you care? Lene did all the work for producing this album and here record company did not have anything to add but to send it to media recording directly. I can tell you one thing that Marlin has been incredibly successful not only in her native Norway and most of the part of the Europe – let alone Asia. The best part, I like the way she pronounce everything — listen to “How Would It Be” you would understand. Eventually, the song titles and lyrics brings out that she has suffered a recently broken heart. So, why do people breakup? Big question! As I remember reading somewhere that — Broken hearts and thwarted dreams are real ambrosia for song writers. It is the fuel that fires the creative process. That proves when she sings in “I can show you all my scars, you know, the ones I keep inside of me” on I Hope Your Happy, her vocals suppress all kind of emotion. The sound and delivery are as polite and sincere to the greatest extent. I have some of her music videos from this recent album, it’s like she is back on track. You will love it! Sadly MTV India is more busy with commercial Hindi songs. As Tony Heywood says in his review that it is much like the endless remakes of Pride and Prejudice where all that changes is the cast, and I understood what he meant. Some says that she is not beautiful as she appears – but it’s all about inside what it matters.